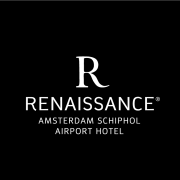 The Renaissance Amsterdam Schiphol Airport Hotel is a stylish and innovative new hotel. And we are looking for YOU! Renaissance Front Office Ambassadors are welcoming our guests with a friendly, authentic approach, creating a unique and personalized guest experience. Our successful Front Office Ambassador is will tailor their approach by reading cues from a guest to ensure our guest feels at home when they check in.